The last week or so has been a great ride, so great it almost feels like we’re at E3 already. Ocarina of Time 3D’s release date is announced, Project Cafe is practically revealed to the world with a swirl of rumors, Pikmin 3 is rumored to be in development for the new console, and we’re told Nintendo has been talking to Rockstar to convince them to support the new console. A lot of juicy stuff in there, but in the end it’s really all about Project Café. Wonder what you should believe and what you should be skeptical about? We’re here to help as we dissect the rumors and give them a rating system of truth that our hero Reggie Fils-Aime would be proud of. Keep in mind that no matter what we rate the rumors, we still cannot confirm them. We will use a tad bit of common sense thinking into the process of what to believe and what seems like crap, and then make the argument one way or another. The name “Project Café” is practically irrelevant, but it’s still interesting. The bottom line is that it’s likely true, since there is no reason to lie about it. 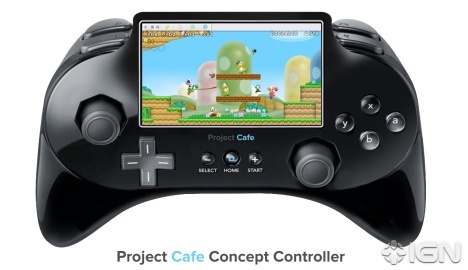 Every console has had a codename, some of which people preferred over the final name, and Project Café is as good a codename as any. I stress that the codename is completely irrelevant, and it may not even be called that by the time E3 rolls around. The real juicy rumor here is that the screen in the remote is rumored to be 6 inches (wide, around, who knows). Initially it may have sounded crazy, but Nintendo isn’t the first company to go this route. Keep in mind the functionality of the screen on the Dreamcast and the one for Project Café are going to be almost completely different. 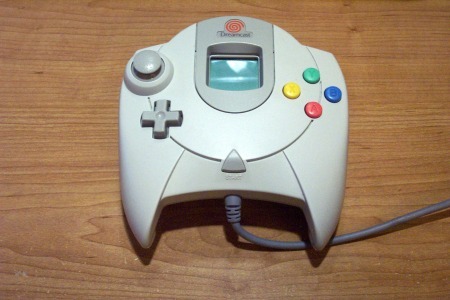 The Dreamcast’s sole use was to tell you which expansion was plugged in, while it’s likely Nintendo will use the much larger screen to bring some of touch gaming to the home console. Still, some people have a hard time understanding this move, and thus hope it isn’t true, while others are a bit more optimistic. Either way you slice it, it’s highly possible and is completely unique to the market. It also helps that Nintendo has a bit of experience with this sort of thing in the handheld market. These both sound plausible, and make a lot of sense when you consider what the next generation should be. I mean, it’s going to be a lot more power than the present generation, and if there is a screen it might as well be HD right? Then reality sets in and you realize this is Nintendo, and for them cost is always king. The system is going to have to remain reasonably affordable to fit their mantra, yet still powerful enough to lure back third parties. The technology to create a powerful system is relatively affordable these days, and almost anything is more powerful than the Wii (sometimes I feel like my iPod has more power, even though it doesn’t) so naturally the system is going to be more powerful. A second graphical rumor came out explaining how in actuality, the system is slightly more powerful than an Xbox 360, and just under the power of the PS3. In essence, that makes it fit right in line with the present generation, and that generation is affordable these days. Xbox Elite 4gb edition is 200$. I also don’t think the graphical differences in the next generation will be all that great: It’s already barely noticeable between the 360 and PS3 (save for a few select cases), and I doubt we’ll notice a massive leap in the next generation of consoles. This means if Nintendo does release something that fits in the present generation, they won’t really be lagging behind the next really that much, and the best part is they will be the most affordable of all gaming options while still providing satisfactory graphical capabilities. Still, it wont be more powerful than the current generation. It just wouldn’t fit into Nintendo’s mantra to release a 500$ system. That being said, it also means the likelihood of the controller’s built-in screen being HD is laughable. It’s a small screen already, which means the HD factor isn’t as relevant to start with, and it would just make the controller cost way too much to be practical. The initial reaction to Blu-Ray is “Sony wouldn’t let that happen”, but for those not in the know, Sony doesn’t actually own the rights to the technology – it’s actually a collaboration of several companies (including Sony) who have a combined board who decides who and in what capacity Blu-Ray can be used. Essentially, this means pretty much anyone can develop a Blu-Ray player as long as the board approves of the use, and there is really no reason for them to not approve of the use by Nintendo, just like they are letting others not named Sony make Blu-Ray players. Chances are the next Xbox also features Blu-Ray, so Nintendo wouldn’t be alone in a change like this. It’s also evident that Blu-Ray isn’t going away. The section at stores is slowly starting to rival the size of the DVD area, and the cost of Blu-Ray players has been slowly dropping, making it more affordable. Even new movies are starting to debut at DVD prices these days. Within 5 years, it’s likely every home will have a Blu-Ray player, so it just makes logical sense for Nintendo to switch to the tech. Streaming games can be tricky, but is possible with affordable technology. The big deal surrounding streaming games relates mostly to multiplayer and fighting over TV time, but I am sure there are many more uses than that that we just aren’t aware of right now. It seems possible, but then you have to wonder if it’s worth cutting a small chunk of cost off to get rid of that option. In the end, are Blu-Ray and streaming games worth the additional 40$ or so on top of the console cost? Please, did you think Nintendo was going to abandon their 85 million installed base of motion gamers?